The sequoias have a matting, shallow, and wide-spreading root system. There is no tap root. They only root to 12 to 14 feet deep even at maturity. 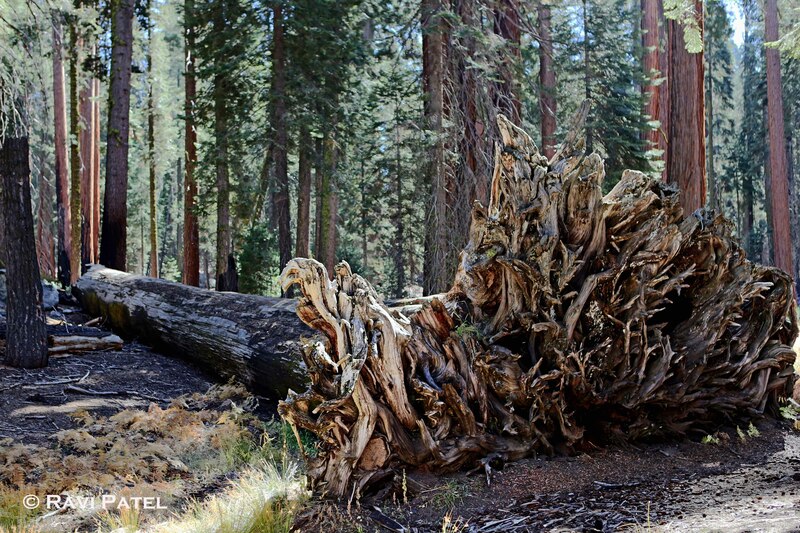 A mature sequoia’s roots can occupy over 1 acre of earth and contain over 90,000 cubic feet of soil. That mass of matted roots and soil has to maintain the equilibrium of a tree that is nearly 300 feet tall and weighs nearly 2 million pounds. 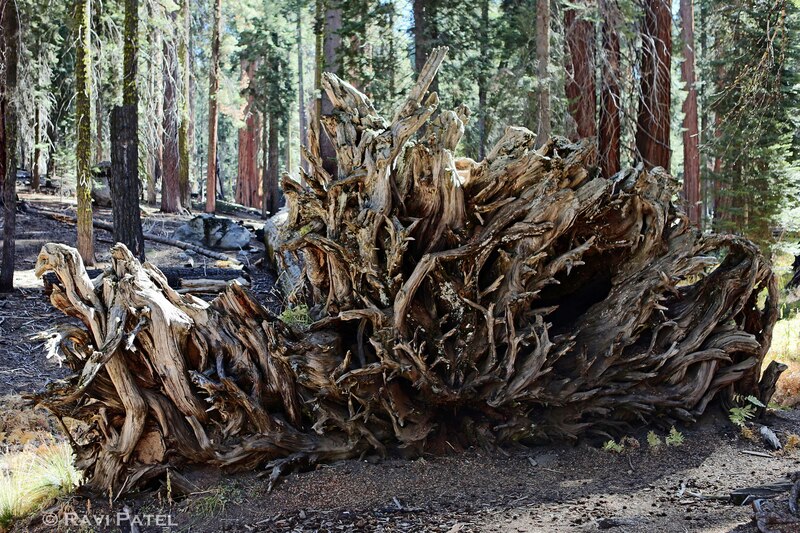 This entry was posted in Nature, Photography and tagged roots, sequoia tree. Bookmark the permalink. I love how you show all sorts of shots from one area. This is a really good one! Thanks Laura. Since one photo doesn’t always capture the beauty of an area, I try to include different perspectives. I try to but am not always successful…mostly because the other images aren’t so great, lol. It’s amazing to think those shallow rots are all that’s supporting those massive trees! Very interesting, Ravi! Isn’t it Donna? Amazing mysteries of nature!